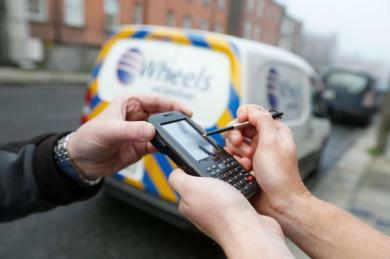 Wheels We Deliver have invested heavily in technology right across all our services to give our clients greater ability to manage their transport needs. A fully compliant fleet of drivers with the latest handheld PDA devices. 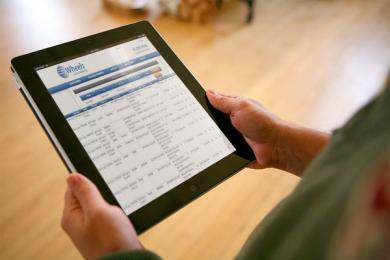 Full visibility of your shipments 24/7 via our online booking portal. Real time signatures for your deliveries as soon as they are completed. Complete first name/last name signed and printed signatures on all shipments. 24/7 access to costs and invoices. Management reports download function allowing user to tailor reports by reference etc. 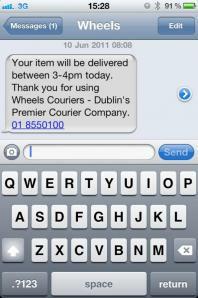 SMS Text pre alert for home deliveries.